Over the years I've tried out several different grade-keeping apps. Below I'm describing my favorites; most of the apps can be used even if you only have one iPad in your classroom! 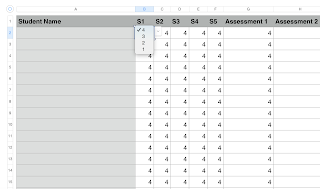 Simply type in your students' names and then enter their assessments as they happen. 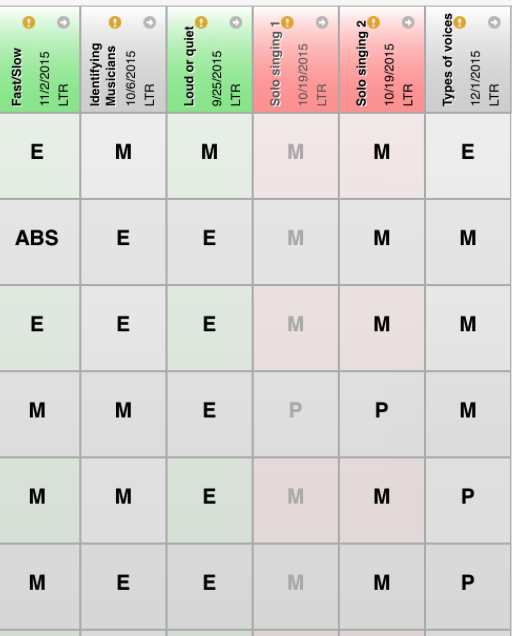 As I said, if you need to grade on the spot, you can tap the screen on your iPad to get the dropdown menu to appear. After I tried out Numbers, I moved onto iDoceo. 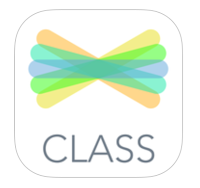 This app is a pretty powerful app, as it has the ability to detail schedules, assign seats, AND create a grade book! At $10.99 in the app store, it is pricier than a lot of apps out there, but it is a very comprehensive app with lots of features that I didn't even get to explore in the year I used it! I just started using Powerteacher this year, as my district as a whole is using it. From what I understand, you'd only be able to use it as a grade book if your whole district was using it...but I have to say, I'm pretty excited my district has made the jump, because this app is amazing! 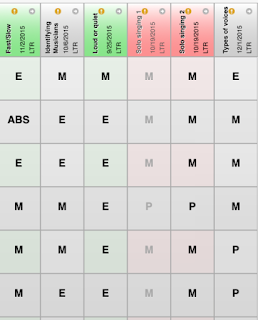 With the other two apps above, I had to input all of the students' names by class, but with Powerteacher, it's done for you! Not only do you see the students' names, their pictures are there too! (AND when I have students moving in or moving out, the info is changed by my secretary, so I don't have to worry about deleting or adding!) When I add assessments, I am asked to connect them to standards, so it's great to have so much information in one spot. If your district is looking to revamp its grading system, you'll definitely want to check out Powerteacher. Here is a screenshot; I had to cut off the students' names on the left, for privacy purposes, but that is where you would see their names as well as their pictures. 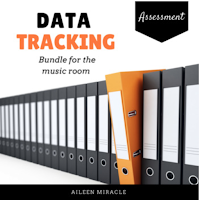 I recently found out about this app from my friend Andrea Halverson-Forsberg (read her technology blog here.) 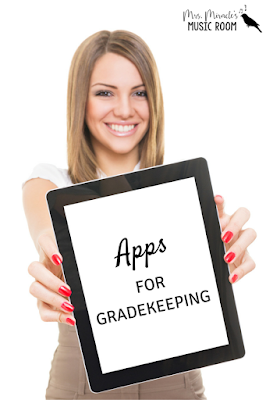 The app is free, and can be used to document student learning. There are several ways students can begin their portfolio: video, photograph, drawing, and more! Their work can also be shared with their parents. I'm just beginning to delve into the app, but if you want to read more from someone who has used it more, check out this blog post. This is one of my favorite apps. You know those response clickers students can use to enter their answers? It's like that...but it's free! 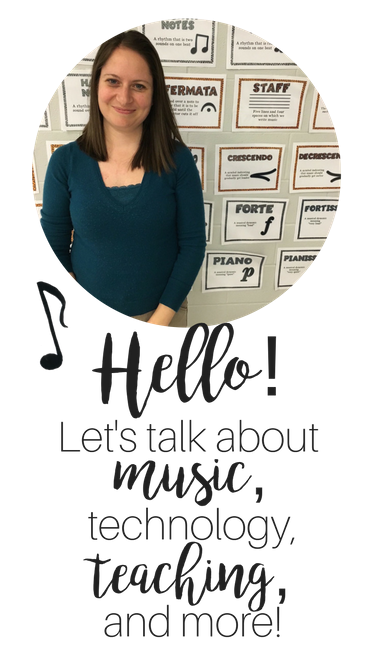 I recently used this app to take an assessment for identifying instruments in the strings family for my third graders, and instruments in the woodwind family for my fourth graders. Once students understand how to use it, it goes much quicker, and you have information on how each and every student answered! You can then use this information to input assignments into one of the three grade book apps above! Just a note about the app--it works MUCH better on the iPhone than it does on the iPad. 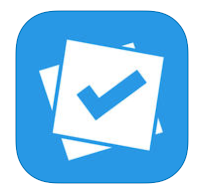 Read more about Plickers here. 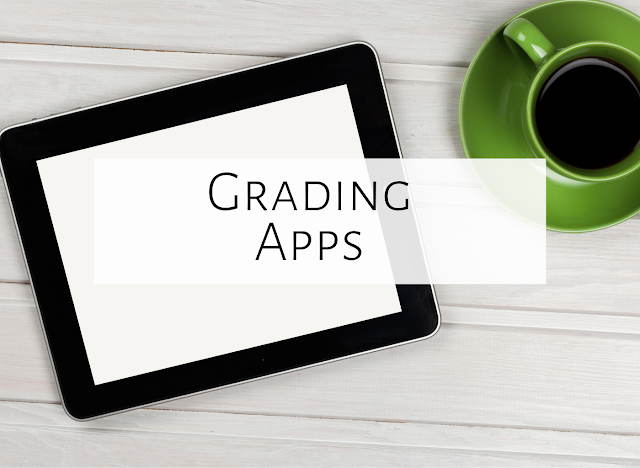 What are your favorite grade keeping apps? Feel free to comment below, and good luck entering grades! 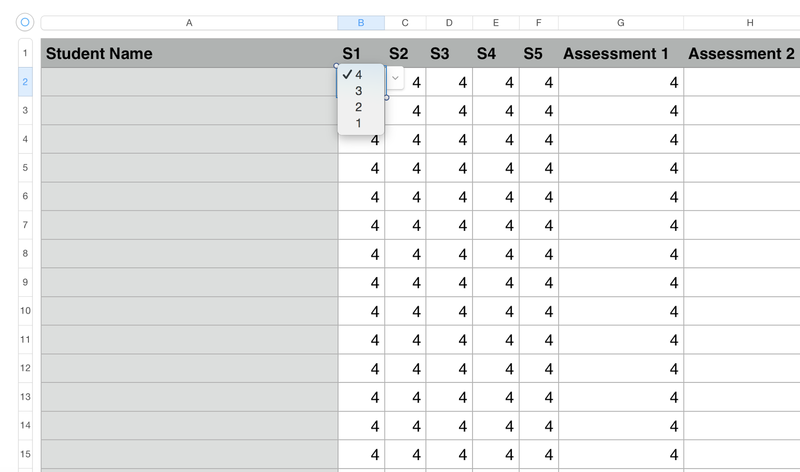 iDoceo can now import student names from a spreadsheet, which I was able to generate from infinite campus, which my district uses for grades. I was also able to add pictures to each student by taking a class picture. The app recognizes faces, and then you simply drag and drop! The newest update also allows pictures and audio to be attached to a column, but I haven't played with that yet. I have a class called "School Choir". 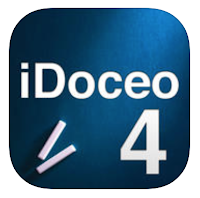 I had learners speak up, doing an audio recording in iDoceo 4 by row. The recording is saved directly in the app. 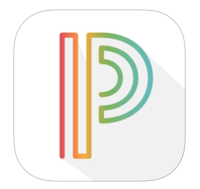 Adding resources to iDoceo in pdf or presentation (ppt, pptx) is a dream; during instruction I or learners can quickly focus on music elements using iOS gestures.